Mild hybrid system and an electric powered compressor boost output and slash fuel consumption. 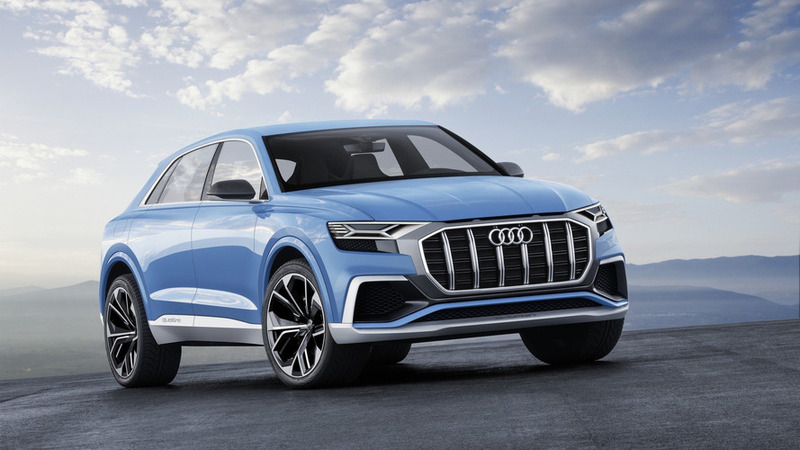 Audi took the wraps off the first Q8 concept in January at the North American International Auto Show in Detroit as a way to tell the whole world it’s cooking up a new flagship SUV. 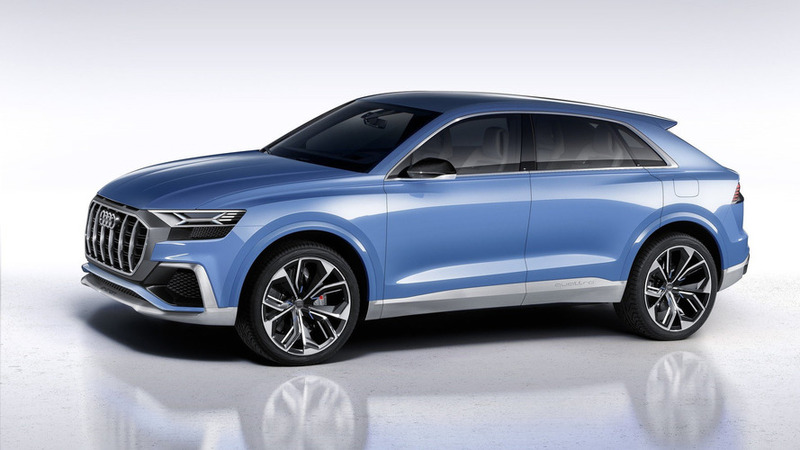 For the ongoing Geneva event, the luxoborage is being presented in a sporty guise to preview what will likely be an SQ8 of some sort, unless the folks from Ingolstadt will want to go all out with an RS Q8. Eschewing the Bombay blue paint of the original concept for a striking Krypton orange shade, the Q8’s alter ego adopts a slightly more aggressive design as one would expect from a performance model. The gargantuan grille is still there, but this time around it has a honeycomb structure also used for the huge air vents flanking it. The high-tech laser headlights have been carried over from the first concept, but in this new application feature a black tint to enable a more aggressive look. Audi points out the wheel housings have been widened by 12 millimeters (half an inch) and at the back there are oval exhaust tips typically reserved for the RS-badged models. To further set it apart from the other concept, numerous black accents have been applied and can be noticed on the mirror caps and side sills, for example. While the design hasn’t changed that much, the hardware that lies within the familiar skin is different. The Q8 Sport Concept represents Audi’s first stab at giving the 3.0 TFSI six-cylinder engine a mild hybrid setup and an electric powered compressor. With 476 horsepower (350 kilowatts) and 516 pound-feet (700 Newton-meters) of torque at its disposal, the go-faster SUV runs to 62 mph (100 kph) in only 4.7 seconds and will top out at 171 mph (275 kph). Besides being really fast, the Q8 Sport Concept is also quite frugal thanks to it electrified powertrain with a 0.9-kWh lithium-ion battery mounted underneath the trunk. 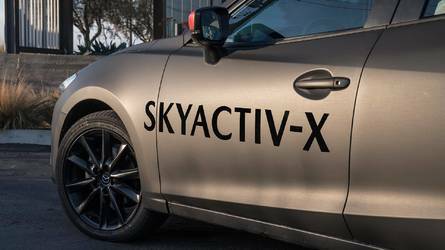 Making use of energy recuperation, the high-riding vehicle manages to consume about one less liter of gasoline per 100 km than an equivalent car without the mild hybrid tech. It’s a great SUV for long journeys as Audi says it will cover more than 745.6 miles (1,200 kilometers) on a single tank of gas. 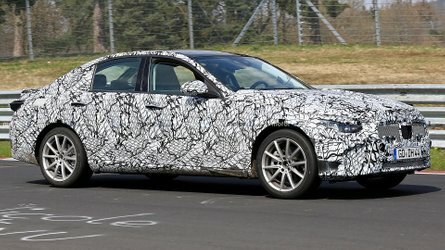 Considering the regular Q8 will be out at some point in 2018, the performance version being previewed here is probably due around 2019. Groundbreaking drive system technology and an accentuated sporty look: at the 2017 Geneva International Motor Show, Audi will be presenting another concept car which demonstrates the potential of the future Q8 model range. The Audi Q8 sport concept study demonstrates the vision Audi’s developers and designers have for the dynamic yet efficient SUV of tomorrow. as a multi-disciplined athlete with a number of talents. Thanks to its 350 kW (476 hp) output and its 700 Newton meters (516.3 lb-ft) of torque, it sprints from 0 - 100 km/h (0 ‑ 62.1 mph) in just 4.7 seconds and keeps going until it reaches its top speed of 275 km/h (170.9 mph). Meanwhile, its range of more than 1,200 kilometers (745.6 mi) ensures it is also suitable for long journeys. Thanks to the superb recuperation performance of 20 kW, this prominent SUV holds back when it comes to fuel consumption. Compared with a model equipped with a regular TFSI six-cylinder engine without mHEV system, the Q8 sport concept with its 20 kW greater performance consumes around one liter less fuel per 100 km – that corresponds to a reduction in CO2 emissions of 25 g/km (40.2 g/mi). “The drive system of the Audi Q8 sport concept is a major step towards optimizing efficiency and sustainability in large-volume series production. The combination of mild hybrid technology and a TFSI engine sets a new benchmark for the synthesis of electromobility and combustion engines. In the future, this combination will be used in many Audi models,” says Rupert Stadler, Chairman of the Board of Management at AUDI AG. The architecture of the drive system in the new Audi Q8 sport concept is revolutionary: for the first time ever, Audi is combining a 331 kW (450 hp) 3.0 TFSI six-cylinder engine with an electric powered compressor and an effective mild hybrid system for recuperation. The starter generator positioned between the crankshaft and the transmission handles recuperation and, if required, can work in the opposite direction as an additional electric motor. The 48-volt electrical system assures the supply of electrical power. For the customer, this approach has a number of advantages: the energy recovered as part of recuperation can, if required, be used to increase performance. During boost operation – where the combustion engine and electric motor are used simultaneously – the electric motor’s additional 20 kW of output and its torque of 170 Nm (125.4 lb-ft) open up a total of 350 kW of power to the engine and bring its total torque up to 700 Nm (516.3 lb-ft). The result is sporty acceleration from any speed and rev range. Positioned at the rear under the luggage compartment, the lithium‑ion battery with an energy storage capacity of 0.9 kWh makes it possible to keep moving slowly in stop-start traffic with the combustion engine switched off, as well as allowing for maneuvering and parking under electric power alone. During braking, efficient recuperation using the 20-kW-strong starter generator quickly recharges the battery to ensure that the vehicle can regularly be driven under electric power. In addition to the two exhaust gas turbochargers, the electric powered compressor provides the Q8 sport concept with an additional kick by supplying the three-liter six-cylinder engine with fresh air. The electric powered compressor supports the turbochargers at times when the exhaust gas is insufficient for rapid development of power. It therefore opens up delay-free acceleration to the V6 gasoline engine – something previously only known to diesel engines and electric motors. It’s a recipe for success which already works impressively in the series production Audi SQ7. The electric powered compressor is positioned in a bypass downstream of the intercooler, i.e. close to the engine. Instead of the turbine wheel, it integrates a compact electric motor. It accelerates the engine’s compressor wheel up to 70,000 rpm in less than 250 milliseconds. With the support of the electric powered compressor, the power of the 3.0 TFSI is always spontaneously available as soon as the accelerator is depressed, even at low engine speeds. When driving off, the SUV immediately takes a lead of several meters ahead of the competition. During comfort-oriented driving, the electric powered compressor technology prevents unnecessary downshifts and thus keeps the engine speed at a low level. Meanwhile, sporty drivers will appreciate the supreme and spontaneous delivery of power when exiting curves. The Q8 sport concept drive system with its V6 TFSI and additional electric motor supplies the performance of a true eight-cylinder engine, yet with the fuel consumption of a frugal four-cylinder. 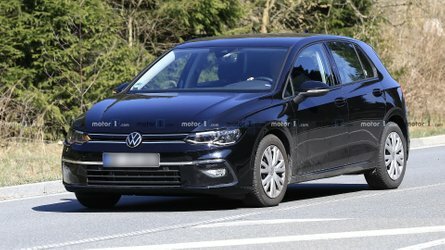 That’s because, compared with a similar engine without mild hybrid system, the consumption reduces by more than a liter per 100 kilometers, despite serving up 20 kW of additional power. The total range of the Q8 sport concept equipped with an 85-liter (22.5 US gal) fuel tank is more than 1,200 kilometers (745.6 mi). When driving, the drive system management controls the operating states of the Audi both intelligently and flexibly: the luxury SUV can boost, coast and recuperate as appropriate for the situation. The predictive efficiency assistant is a standard feature which supports the driver by supplying greatly detailed information on the vehicle surroundings to the control unit. Route data from the navigation system and Car-to-X services from Audi connect are also taken into account. 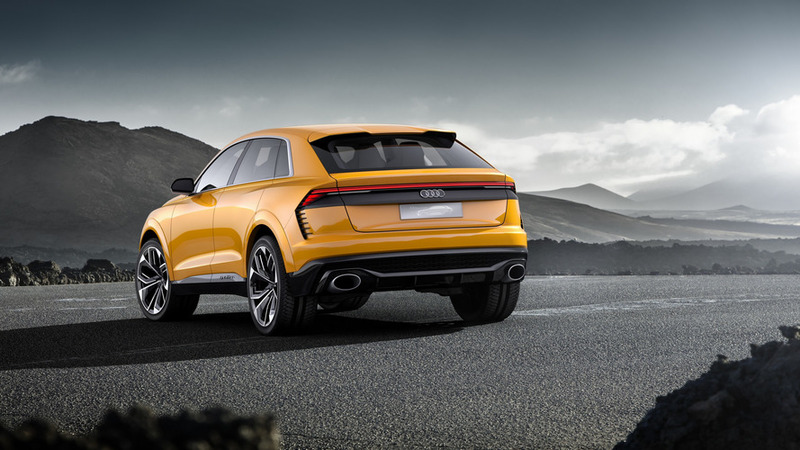 In the Audi Q8 sport concept, the quattro permanent all-wheel drive system transfers the power of the drive system to the road with supreme control. Even for its wide-track chassis, the technology study makes use of the latest high-end solutions from the luxury-class product portfolio. The adaptive air suspension sport – an air suspension system with controlled damping – allows for a broad spectrum of ride characteristics, ranging from cushioned cruising to firm and tight handling. Furthermore, it sets the ground clearance in five levels with 90‑millimeter (3.5 in) height differences, selecting the ideal level in each case. The front and rear axles are engineered as lightweight five-link constructions. Audi mounts 305/35 tires on the large 11J x 23 wheels. The five intertwining Y‑spokes project a filigree and at the same time powerful image. Ceramic brake discs measuring 20 inches in diameter effortlessly decelerate the Audi Q8 sport concept. At first glance, it is clearly a highly dynamic and luxurious Audi – that’s how the Audi Q8 concept study was received at the 2017 Detroit Motor Show. The debutant in Geneva is an even more sporty variation of this composition and is also an elegant alternative to the robust presence of a classic Sport Utility Vehicle. The Q8 and Q8 sport concept are synonymous with utmost prestige, dedicated sportiness and visually-present technology in all areas. 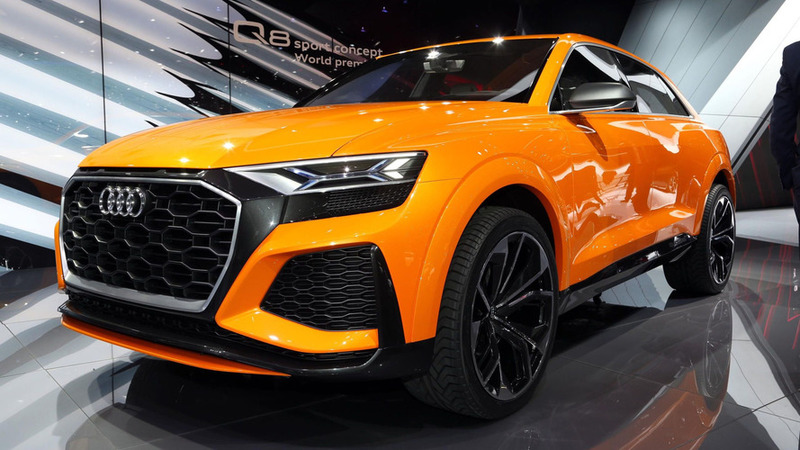 At 5.02 meters (16.5 ft) long, the Audi Q8 sport concept makes an impressive mark on the luxury class. 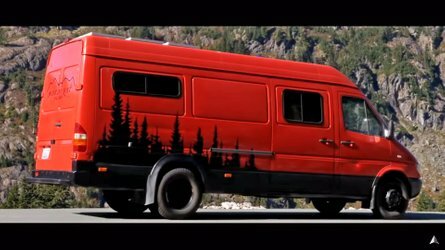 Thanks to a wheelbase of three meters (9.8 ft), the show car offers plenty of space for passengers and luggage. Despite the sloping, coupe-like roofline, even the rear-seat passengers enjoy ample head and shoulder room. The new operating concept uses large touchscreens in the cockpit, rounded out by an expanded version of the Audi virtual cockpit and a contact-analogue head-up display. The latter uses intelligent augmented reality technology that merges the real and the virtual worlds. 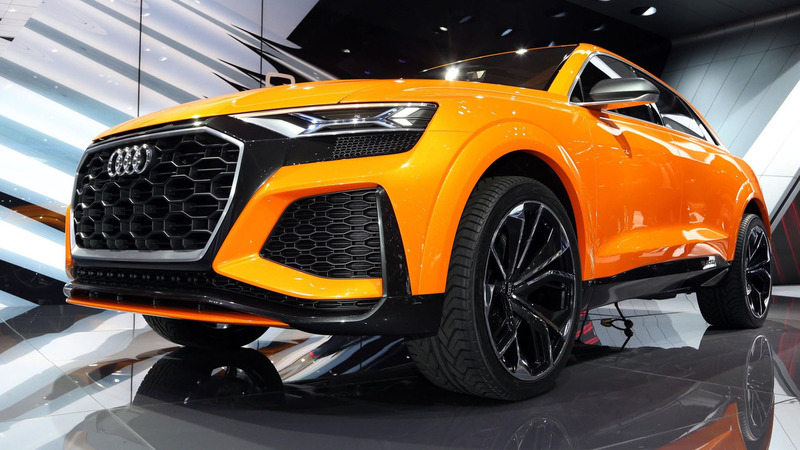 Viewed from the front, the 2.05 meter (6.7 ft) wide Audi Q8 sport concept looks imposing. A distinguishing feature here is the octagonal Singleframe. It is a sculpted piece and is significantly wider than in today’s Audi production models. Its surface has a honeycomb lattice structure overlayed with aluminum segments, whilst the surround is painted in a contrasting color. As is typical of Audi Sport models, the outer air inlets are much larger compared with the basic model – a sign of the greater air requirements of the high-performance power unit. A distinctive body-colored blade forms the bottom edge of the bumper. 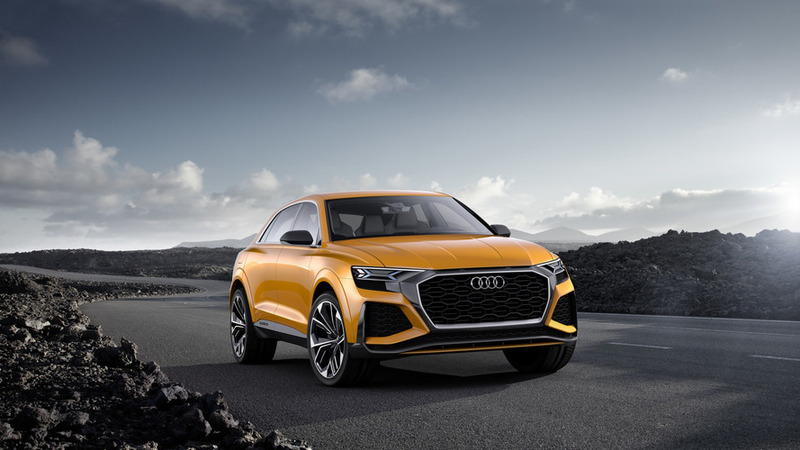 The flat, wedge-shaped headlights of the Audi Q8 sport concept are integrated into the front end and, from a design perspective, are connected with the adjoining air inlets. The individual light elements have a glass cover, but the entire headlight units are not enclosed. This creates the impression that they are free in space. Their aluminum housing carries over the sculpture of the Singleframe. An x-shaped, blue laser light signature accentuates the digital Matrix laser technology used for the low and high beams. Broken down into more than one million pixels, their light can illuminate the road in high resolution and with precise control. Located below the edge of the engine hood is a narrow LED light guide that emits the light for the dynamic turn signals and the daytime running lights. It wraps around the outside of the headlights, where its ribs create an innovative e-tron signature. All lighting functions are dynamic. The silhouette of the Audi technology study also evokes tautness. The doors have no window frames and thus contribute to the flat roofline. 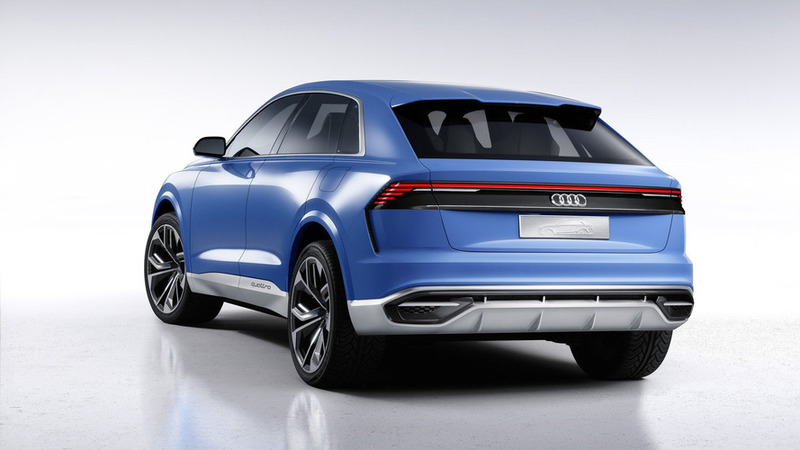 The Audi Q8 sport concept is 1.70 meters (5.6 ft) tall. All lines on the body climb upward dynamically toward the rear – the bottom edge of the side windows, the shoulders, the dynamic line and the sill line. The surfaces of the fenders, doors and side panels are athletically curved. The lower section of the doors form a deep fillet. Other design features are the quattro logo milled below the rear doors as well as the carbon-fiber exterior mirrors with their multifaceted edges. The doors are opened using touch elements: as soon as the sensors in the Audi rings on the B or C pillar are touched, the door simply pops open to a defined position. The extremely flat and very wide C-pillar is reminiscent of the original Audi quattro from the 1980s, as are the strongly flared shoulders over the wheels. This places the concept car in a logical line with the show cars of the Audi Prologue series. The balanced proportions of the Audi Q8 sport concept emphasize the front and rear wheels equally – that, too, is typical quattro. Compared with the Q8 show car from Detroit, the wheel housings have been widened by a further 12 millimeters (0.5 in). The strongly accentuated wheel arches feature a double design. The sill region of the doors shines in brushed aluminum, ensuring an intriguing contrast to the show car’s krypton orange paint finish. A long roof edge spoiler shades the extremely flat rear window of the Audi concept car. A doubly-shaped spoiler lip below it forms a distinctive contour on the power luggage compartment hatch. The light strip extending over the entire width of the rear end is part of the distinctive light signature. It serves as both the tail and brake lights as well as the dynamic turn signals. The outer light elements are edged by aluminum blades whose inner strut is drawn broadly into the rear of the vehicle. The individual elements of the tail lights are also designed to be open, and all lighting functions are dynamic. The license plate on the Audi Q8 sport concept is located under a black trim strip between the lights. The diffuser is made of aluminum, while its crosspiece is in high-gloss carbon fiber. Set in the diffuser, the oval exhaust tailpipes are equally striking in their design thanks to their brushed aluminum surface. The interior of the Audi Q8 sport concept offers opulent spaciousness for four persons and their large suitcases. The luggage compartment has a capacity of 630 liters (22.2 cu ft). Widely stretched lines lend the cockpit a sporty yet elegant ambiance. Virtually floating above the center tunnel is a console for the shift‑by‑wire lever with which the driver controls the eight-speed tiptronic transmission purely electronically. The wrap‑around begins in the front doors. This large, horizontal arc runs along the lower edge of the windshield and frames both the driver’s and front passenger’s seats without hemming in the occupants. The sport seats as well as the two individual seats in the rear are made up of segments that appear to be separate geometric bodies, from the pronounced side bolsters to the head restraints. A horizontal aluminum trim piece divides the backrests at the height of the window belt line. The instrument panel with its distinctly horizontal character descends in steps toward the interior. The central control and display surfaces are integrated into the “black panel” – a glossy black strip framed by an aluminum surround. When switched off, the screen is invisibly embedded in the surface and the lines flow harmoniously. When the display is in operation, it assimilates perfectly into the design line. In the front passenger area, the black panel features a graphical quattro badge. The arrow-shaped inlays in the doors pick up the expressive design. Filigree aluminum bars integrated into them serve as door openers. When dark, LED light guides illuminate the interior with white light. The colors and materials in the Audi Q8 sport concept provide for a cool and sporty atmosphere. One highlight is the three-dimensional, engineered grain on the instrument panel, doors and floor. High-gloss carbon-fiber applications with a new, abstract woven structure, as well as aluminum strips and frames set accents. Their brushed finish is comparatively dark. Brightness increases gradually from the headlining to the center console in graduated gray tones from steel gray to pastel silver. The technical materials in the Audi Q8 sport concept contrast with the soft surfaces. The seats are covered in a combination of Fine Nappa leather and Nubuk leather, both in pastel silver. The upholstery is pulled around the trim piece that divides the backrests – here, the inside becomes the outside. The head restraints are covered with a structured textile of a color similar to that of the leather elements. The elegant interior architecture of the Audi Q8 sport concept merges with a groundbreaking control and display concept. Information and commands are passed primarily through touch displays augmented by the Audi virtual cockpit future and a contact-analogue head-up display. All displays feature a new “digital design” that concentrates systematically on only the most important things. The contact-analogue head-up display projects important displays onto the windshield in the driver’s direct field of view, seemingly placing them in the real environment. A navigation arrow, for example, appears in the same position as an actual arrow on the road – an intelligent application of augmented reality. The notifications from the driver assistance systems also merge the virtual and physical worlds. 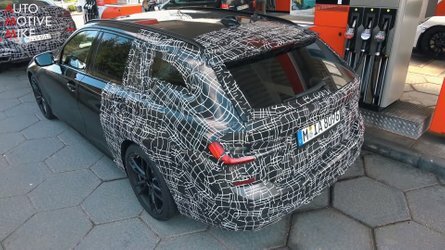 The Audi virtual cockpit future is even more dynamic thanks to new functions and, with a resolution of 1,920 x 720 pixels, it displays graphics with more detail than ever before. In “auto” display mode, the 12.3-inch TFT display offers generous space for maps, lists and additional information. The top-down map view visualizes the selected route. When zooming in, the current position and surroundings are displayed in 3D. Through the buttons on the steering wheel, the driver can switch to “performance” mode. The needles of the speedometer and powermeter now appear in a three-dimensional perspective display. All other screens in the Audi Q8 sport concept are touch displays. The great strength of this principle is the direct, fast and intuitive operation. Drivers select each function exactly where they see it. By implementing touchscreens, Audi was also able to further reduce the number of buttons, switches and levers. The interior now appears even neater and more streamlined. The MMI display in center of the dashboard is used to control the infotainment system and vehicle settings. A display for the climate control system is integrated into the diagonally sloping section of the center console. While using this display, the driver’s wrist can be rested comfortably on the low selector lever of the eight-speed tiptronic. If the sensors in the seat detect a front-seat passenger, the touchscreen shows their climate control settings. If the driver is alone, this function is deactivated. Another smaller touchscreen to the left of the steering wheel is reserved for the lighting functions.